Sorry but your browser doesn't support iFrames. Please visit UBAapplication.com to quote and enroll. When you place an order, the order information passed through the application is delivered immediately to our local secure server and is not stored on the web. We do not share the information except to the providers of the membership benefits and services in order to activate your membership. We hold your information in the highest regards and protect it as such. 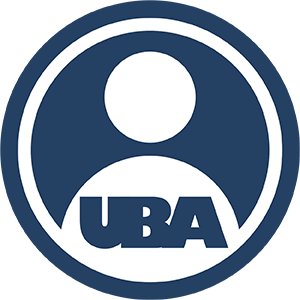 The benefit providers require the information collected on the UBA Enrollment Application and the information will only be given to the Membership Services Office to administer the benefits and services, along with the Third Party Administrator to administer the billing, the Marketing Agency to send out newsletters and other membership updates, and finally to insurance carriers for the insurance products in your membership (if applicable). Benefit providers will verify your identity when you are accessing the benefit with the Benefit Administrator to make sure you are a current member. We are also PCI-DSS certified so your billing information is protected. We periodically will send Member Newsletters to all current Association Members to inform them of updates, changes with the plan, changes with benefits or services and more. We have an opt-out to receiving these emails on our Member Portal. To make sure that your newsletter does not go to SPAM and to ensure it gets delivered, please add info@ubamembers.com to your Whitelist. We only send out newsletters once a quarter or less, unless there is a need for a special update. Any information that needs to be updated, like address, payment information, email, phone numbers or adding family members can be done using the forms on our website, ubamembers.com - under the Members Link - or you can call your Personal Member Concierge at 866.438.4274. You can also email us using the Secure Email Upload link located on the Members Page of ubamembers.com. If you choose to visit, ubamembers.com or gapplusplan.com and you have a concern about privacy, please send us a description to info@ubamembers.com and we will try to resolve it. Unless stated otherwise, our current Privacy Notice applies to all information that we have about you and your account. We stand behind the promise we make and will protect our customer's information collected on our site.